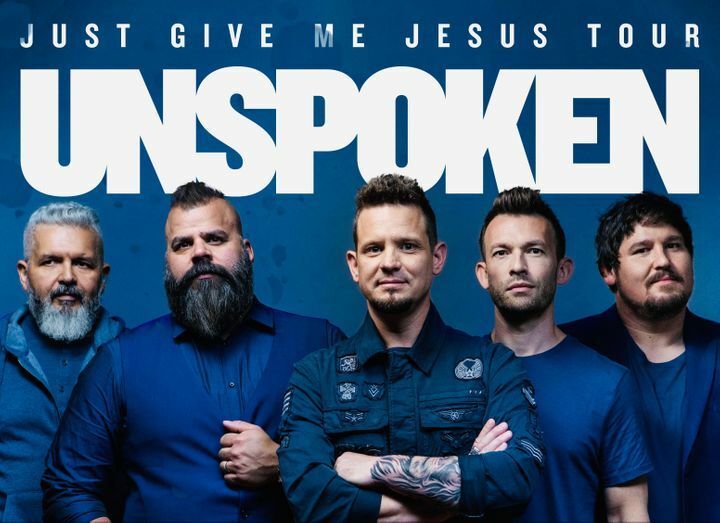 We are so looking forward for our Just Give Me Jesus Tour with North Point Inside Out Band also Caitie Hurts, get your tickets now!!!! These guys get better and better each time I see them. Their new music is awesome! Can’t wait to see what God has in store for them! I would give this show 10 stars if possible. The opening acts were Catie Hurst & NorthPoint Inside Out and they were great. They both have tremendous gifts from God. They are blessings in spreading the of our Savior Jesus Christ. Unspoken was headlining and they were incredible. Spectacular show with wonderful messages. I am new to Christian music and I am a fan of everyone on this tour!!! Would repeat this show without hesitation!!!!!!! Oh my goodness this show was soooooo AWESOME! I loved every minute of it. Catie Hurst is a new girl that opens up for Unspoken and let me tell u what a power house singer she was. She has a wonderful voice that u won’t forget anytime soon. Can’t wait to see what God has in store for her. I bought her CD and my son loves her too. We listen to it a lot. North Point InsideOut was 2nd to go on and man did they keep it going. Their song Death was arrested is sooooo great. Love that these guys love the Lord and there energy for him is so refreshing. Then we finished up with Unspoken. I have always wanted to here them live and now the only problem is I wanna follow them all over to here them sing. Lol They are soooo amazing in person. I love Chad’s voice and how the rest of the band compliment one another. I love how personal the words are to the songs and to see how God is using these guys for his glory and what all they have come thru. It speaks volumes. I have liked Unspoken since 2012 when I heard the song “who you are”. I have all their other songs and love them all. They are one of my favorite bands. I’m so excited they released another album. Hope there is many more to come. It was totally worth my one and a half hour drive. This tour line up is so great. I love all of them together. I wish them all the best and keep letting your lights shine. I absolutely Love these guys! They are Fantastic and there shows Always Rock!!!! Can’t wait for their next show in South Jersey! I’ll be there for sure!!!! I have seen Unspoken many times but lastnight was the best yet. The keyboards was a great addition and the new songs are incredible. It is amazing they were in Ohio lastnight and on west coast tonight. Holy Spirit filled awesome experience! Great exciting worship with so much love and prayers and happiness! A tremendously great Gospel message and musicianship first rate tip scale on all accounts for each of these gentlemen blended perfectly as one!